With all the difficulties that can come with a divorce, you naturally want to reduce the impact on any children involved. Effective communication with your former partner will not only ease the transition for kids, but also make the process more agreeable for the adults involved. If both parents can put aside their differences to make a workable agreement regarding their children, it can avoid the cost of having the court resolve clashes later. Reassure the kids that both mum and dad still love them, but family circumstances can change. 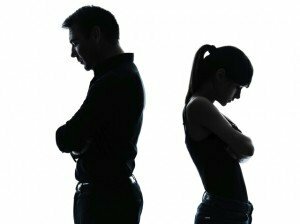 Cooperation between adults during divorce reduces anxiety and social problems for children, as well as increasing their self-esteem. Children are adaptable and can learn to handle adversity by observing how their parents manage. Each situation requires unique guidance. In order to develop an arrangement to cover all requirements for you and your children, visit the Solicitors Guru website to find a family law expert who can assist with an agreement to suit your specific needs. Divorce does not preclude being a good dad; in fact, it can be an opportunity to create a fresh experience with your kids. Let them express their feelings about what’s happening and what would help them adapt to changing circumstances. Explore changes you’d like to make in the way you parent, and create a home life that you can appreciate together. Special outings can be bonding experiences, but not every time you’re together; it’s imperative to strike a balance between entertaining family time and exercising parental responsibilities. The cliché of dad being the fun parent may seem like the easy path, but it’s unhealthy for kids to have no rules, as well as disrupting their routine and habits in their other home. Resist the mistake of fading from your kids’ world, either physically or emotionally, because you and your spouse are leading independent lives. Schedule time to be with them. It can be just as meaningful, sometimes more so, to go grocery shopping together or to work on school projects. Be aware of giving your phone more attention than your kids – you’ll show them that you enjoy being around them, a substantial foundation of security. Speak politely of your ex. She is still your kids’ mother, and any ill feelings you might have during the process are not their business. In the interest of your children’s welfare, discuss how you might handle questions the children might have or behavioral issues that may arise, as well as practical matters of daily life. If you feel your ex is not treating you with respect, be an example to your children of personal integrity in spite of others acting otherwise. Relate your concerns to her in a neutral tone; doing so in writing may provide a calmer way to resolve issues. If you’re at an impasse, reach out to your family law solicitor for assistance in rectifying the situation. Expect to stumble! It’s a great lesson for your kids to see you admit that you’re learning too, and that you can all adjust well to changes in life. ← Sleeping In Separate Beds: Good or Bad?